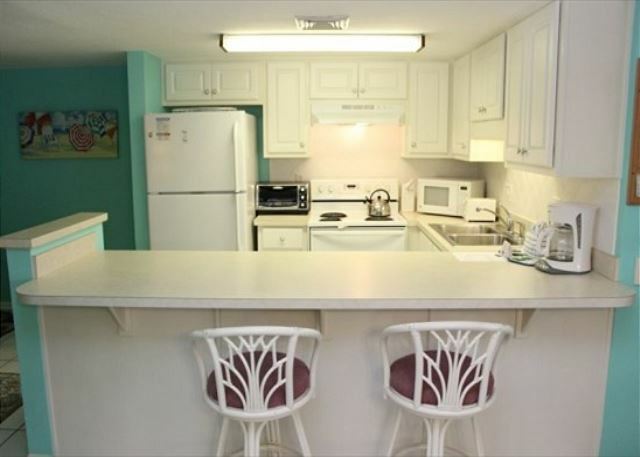 Holiday Surf unit #414 is a beach retreat with two bedrooms and two baths and wonderful ocean views. 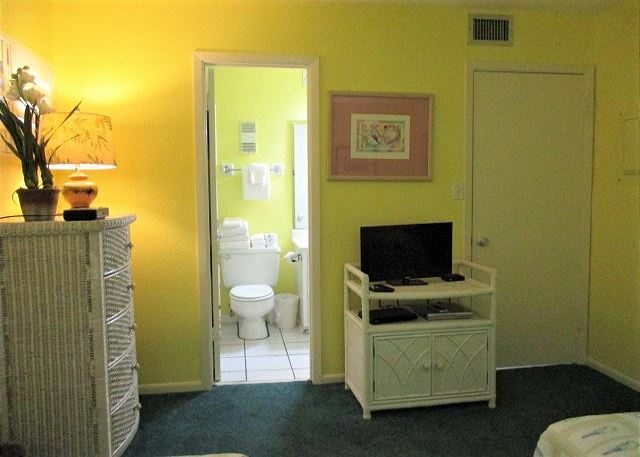 This unit accommodates up to six guests with a King master bedroom and en suite bath, plus two twin beds in the guest bedroom, and a sleeper sofa in the living room. 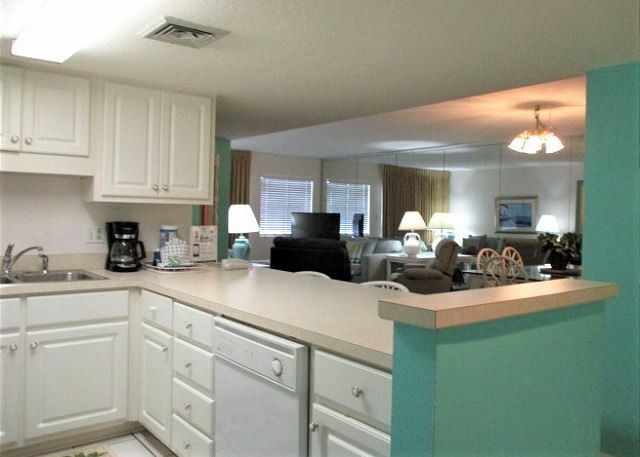 The kitchen, dining, and living areas are designed for comfort and relaxation, with a 42" flat screen TV in living room surrounded by comfortable new sofas and great leather power recliner. 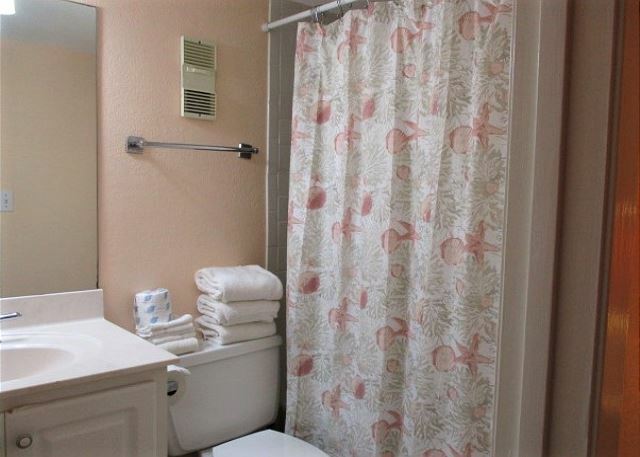 There are tile floors in the kitchen and bathrooms with carpeted bedrooms. We welcome you to share in the experience of Gulf front views, white sandy beaches, spectacular sunrise and beachfront living in 11. Sit back, relax and Enjoy! Don't forget all the wonderful amenities Holiday Surf has to offer - a great outdoor heated pool, Fitness room, Dry Sauna, plus Tennis courts and Shuffleboard with Free equipment rentals. 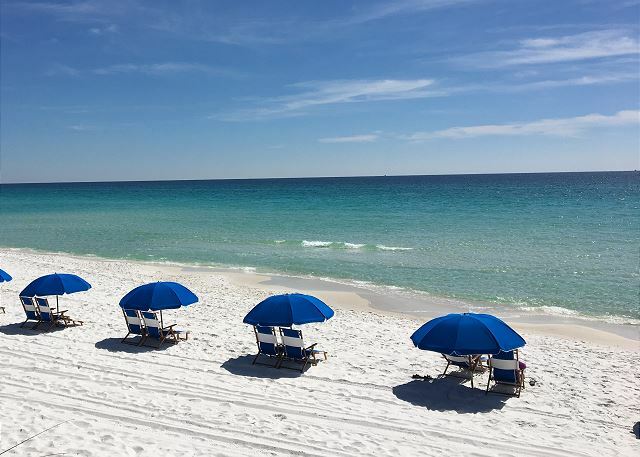 Oh...and did we mention - we are directly located on our very own Private, White Sand Gulf Beach. What more could you want?! Minimum stay 3 nights year round. We enjoyed the vacation at Destin staying at HSRC. 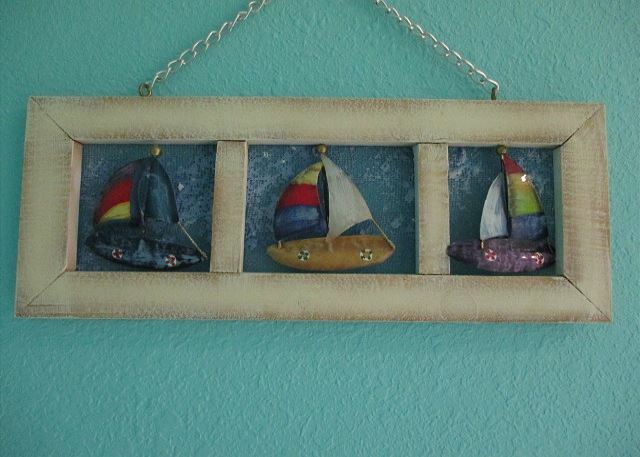 We love the morning view of the gulf and sitting on the balcony having a cup of coffee. 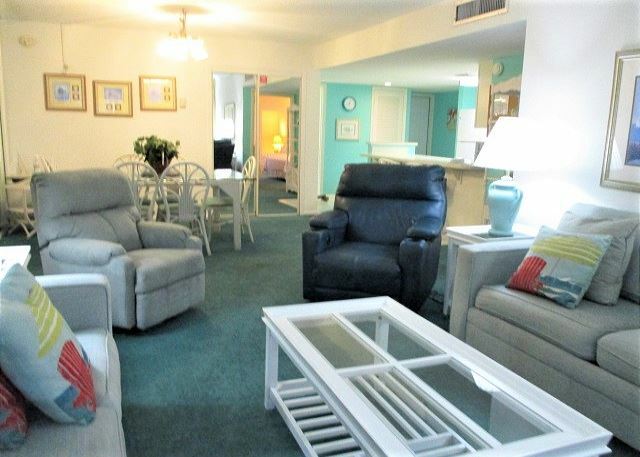 Access to the beach is very nice and due to the fact that my husband has difficulty walking, we look forward to the completion of the handicap access to the beach. We have reservations for next year and look forward to coming back. Always a wonderful stay. This was a great room, and we hope to reserve it again. Only downfall for the trip was getting stuck in the elevator for 20 min during a storm when the power went out. The elevator telephone was not working. Only one elevator was functional during our stay. Loved everything about this property. This was our 1st time staying this side of Destin Habor Boardwalk. The only compliant I would have about this property is if you like the party life, it is hard to find a parking after hours. Other than that everything else was perfect.